Imagine, for a second, your workspace. Important documents placed in file cabinets, pens and Post-It notes that are easily accessible, a lamp for those late nights at the office, and your computer at the forefront of it all. Now, imagine the countless cords below your space. Your computer’s charger, HDMI cables, the lamp cord, a phone charger and USB cables knotted in a messy bow — and all connected into a power strip that also has a cord. You’ve probably never thought of it up until now, but all of that sounds pretty messy and dangerous, doesn’t it? So, how do you declutter your office space and get rid of those pesky tangled cords for good? Well, the answer is simple: wireless products. Not only can you say goodbye to knotted cords for good, but you can also be a part of the future of workspace minimalism and clever technology in the blink of an eye. Now that you’ve pictured your workspace, it’s time to analyze how to declutter this space effectively. Although we’ll discuss how to use wireless products to remove cords from your space completely below, let’s start by removing any unnecessary items to make space for your new wireless products. To begin, think about your daily routine at your workspace. Do you start your morning by outlining your whole day in a planner? Do you review notes you wrote for yourself the day before? Are you more interested in getting in the right mindset for work by listening to some good music? No matter how your day begins, it isn’t about the action itself but, rather, what tools you use to do it. If you’re planning your day, you won’t want to remove your desk calendar. Similarly, if you review notes from the day before, you aren’t going to throw away the post-it notes scattered around your space. Finally, if you listen to music, you aren’t going to bring your earbuds home with you for good. Once you have determined what parts of your workspace are essential and which are not, you can begin to declutter your space and also find wireless products you might want to look into. Next comes the “cord apocalypse” and, with it, the review of wireless products you definitely want and need for your new workspace! So, you now have in mind a space that is organized and several wireless products you want to consider. Among the most common wireless products to declutter your space are headphones, lighting, HDMI transmitters, computer mice, and charging pads. In order to know which of them you will want in your own workspace, review the descriptions for each below and choose accordingly. If you use headphones every day in your office space, this is certainly one wireless product you won’t want to miss out on. Wireless headphones remove the tangled mess of cords often thrown across your desk during your workday. They can go with you anywhere and can also be used as a headset device for important business calls. Monitors can help us be more productive and expand our workstation view, but they take up a lot of space. Placing your monitor directly on your desk often adds unnecessary bulk to your workspace. More importantly, these stationary setups are often not ergonomic and can lead to an increased risk of musculoskeletal disorders (MSDs). Diamond Ergonomics Monitor Mounts are designed to reduce your chance of developing back pain and muscle fatigue. Check out the full list of mounts and their benefits to determine which one is best for your setup! 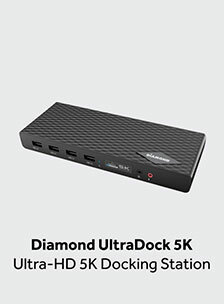 A Diamond Multimedia Docking Station plays an integral role in staying productive and efficient in any kind of work that you do. 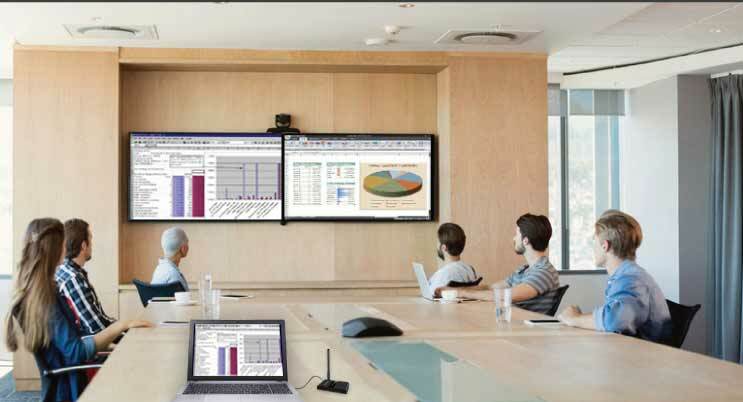 It’s a connectivity solution that allows you to consolidate everything from monitors, Ethernet and extra USB ports through a single USB connection. On top of boosting productivity, docking stations also expand your workstation view, facilitating a more comprehensive and cohesive digital experience, as well as make it easy for you to take your device to work and back home. 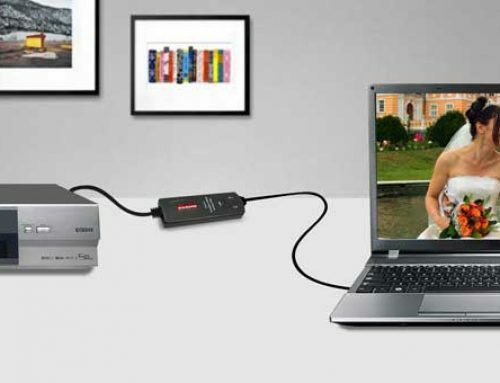 While the majority of the products listed here are simply for convenience and cord reduction, the wireless HDMI transmitter is a highly valuable product for business growth and data sharing. 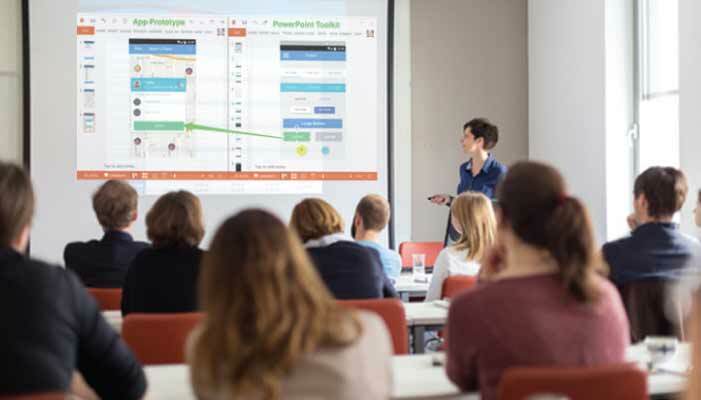 Imagine a meeting where you could easily share your screen with the rest of the room, show them your data firsthand, and even show videos and images that are not blurry or lagging from a faulty screen sharing connection. The 150-foot transmission circumference allows business professionals to transmit their data from another location in the open floor office space and share their work progress and data with their managers from across the room. 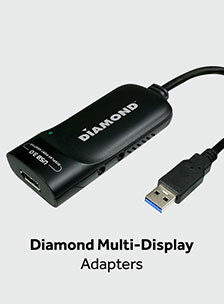 Wireless HDMI transmitters also allow you to double up your screen space by adding another computer when necessary. Instead of having a large, bulky double-monitor setup all the time, you can pick and choose when you want this setup and when you don’t. Often considered one of the most useless cords on a desktop, a mouse cord not only crowds your space but is completely unnecessary. With multiple inexpensive, high-quality options on the market, you can easily transition from a wired mouse to a wireless one without breaking your bank to do so. Furthermore, wireless mice can be moved easily from one location to another without needing to be unplugged and wrapped. This is great for traveling business entrepreneurs. You’ve probably seen these pads before in infomercials or on Wish, but the true charging pads actually work — and very well, might I add! Whether you use this pad to charge your phone, tablet or other smart devices, you can remove the bulky USB cords from your desktop and replace them with a pad the size of a coaster. While these wireless products, especially the wireless HDMI transmitter, can help you declutter your space and help your business at the same time, there are still even more ways that these products can benefit you. For example, because of the idle energy usage of products with cords and products attached to cords, by simply detaching your products, you can save nearly 10 percent of the energy you use yearly. 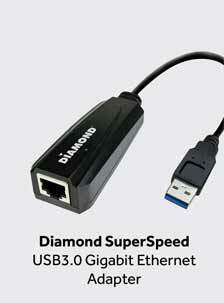 In the case of wireless HDMI transmitters specifically, you can reduce the use of multiple computers in meetings and multiple products on your desktop. 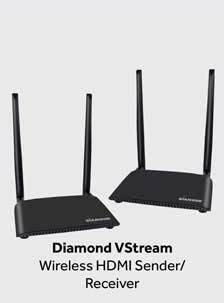 A good example of other benefits of wireless products can be seen with the Diamond VS100 Wireless HDMI Sender/Receiver. 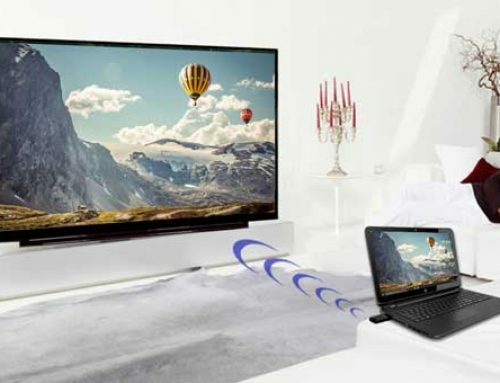 With this product, you can stream content from one screen to another without moving from your current location. 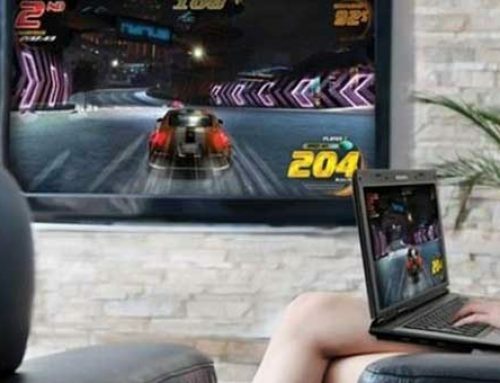 Furthermore, the screen-sharing opportunities provided through this device also are far sharper than other highly expensive options on the market. 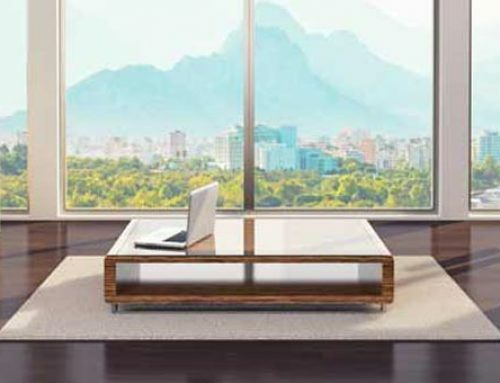 These products not only declutter your space but also help the environment, make your life more convenient, and prove to be better than other wired products currently praised on the market. In the end, the impact of a wireless world may be far more significant than anyone could have ever imagined. The question isn’t whether you need these wireless products or not but, rather, which ones you will use to create a minimalist workspace that is organized, clutter-free and perfect for a productive and goal-oriented individual such as yourself. After all, your workspace reflects who you are and what you represent, so why leave it looking like a cord graveyard when you can have a sleek, modern office space simply by using wireless tech? To learn more about how to declutter your life with wireless technology and determine which products are a fit for your needs, please visit Diamond Multimedia.